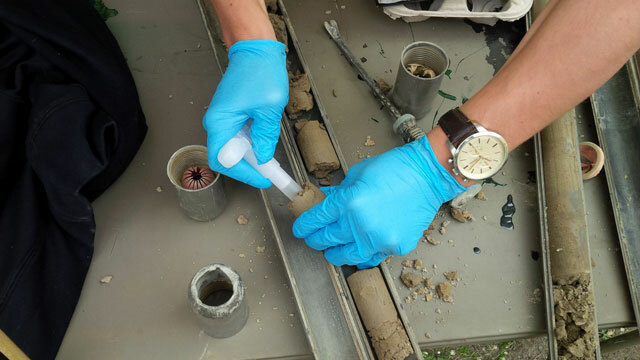 Soil Sampling, Collection and Testing Newmarket | 24 Hour Emergency Service | Specialized Onsite Services Inc.
Environmental samples are obtained directly from a site in Newmarket for laboratory testing. Samples will be accompanied to the laboratory by a chain-of-custody form along with location and depths of where the samples were taken. 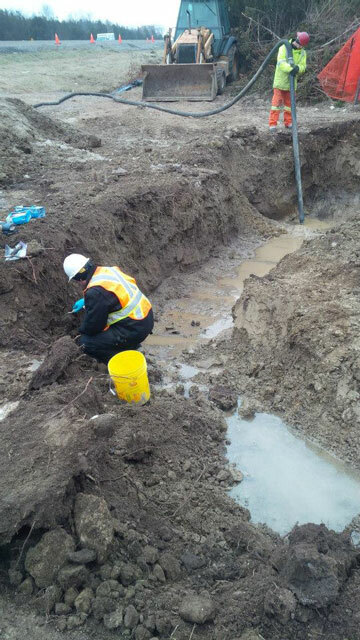 If a contaminated site in Newmarket is encountered or suspected, assessment activities are typically undertaken to determine the severity of the contamination. Quite often environmental drilling companies are employed to drill small boreholes into the ground for the purposes of collecting soil samples at pre-determined depths. In some cases, construction equipment can be utilized for the same if the contaminated area is shallow. The nature of the contamination will determine what a soil sample will be analyzed for at an accredited soil testing laboratory in Ontario. If assessment activities identify a contaminated zone remediation (or clean-up) options will be presented. During the course of any remediation project, confirmatory or verification sampling is required. It is primarily these sample results that will indicate whether a site has been cleaned up to a satisfactory level or if more "clean-up" is required. It is very important to wear disposable protective gloves during any soil sampling activity. Gloves are utilized for the protection of the worker but also to protect the assessment from cross contamination. A new pair of disposable gloves should be used for every sample collected and all samples should be placed in laboratory supplied labelled bottles only. Here are a few reasons why Specialized Onsite Services Inc. is one of the best Soil Testing companies to use for soil sampling and testing in Newmarket, Ontario. Provided all technical reporting signed and stamped by a Qualified Person (QP) as required.